On 15th January Prof. Dr. Costas and her Master class ‘Culture, Leadership and Diversity’ had the unique opportunity to visit Meltwater, an international provider of online intelligent solutions, and Ally, a startup that strives to reinvent navigation technologies with an urban transportation application. At Meltwater the managing director Mahan Shahi gave an office tour to the students. 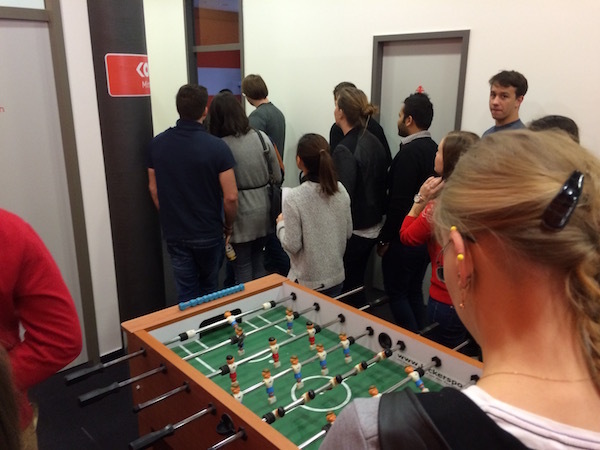 Here they received a first-hand look at the daily work atmosphere and some cultural artefacts, such as the table soccer. Afterwards, Mahan, the managing director Stefan and the head of marketing Angela gave a presentation about Meltwater, its services, culture, people and generally the company, which started ‘with two men and a coffee machine’ in 2001. Since then Meltwater grew to be one of the largest media intelligence companies worldwide with offices in 20 countries and 41 cities. We learned about their corporate values ‘fun, number one, respect’, their leadership principles and their ‘entrepreneurial spirit’. This was followed by a Q&A session, during which the students asked various questions concerning the company’s recruitment techniques, its perspective on work-life balance, diversity management approach and CSR efforts. Ally, a successful player on the Berlin startup scene, invited us to their office in Mitte. Here one of the founders, the charismatic Chief Operating Officer Dr. Tom Kirschbaum, gave us his personal insights into the startup mentality, from ‘working outside one’s comfort zone’ to dealing with ‘constantly failing’. We learned what it means to manage a team consisting of 40 employees of 20 different nationalities and how to overcome diversity related obstacles. 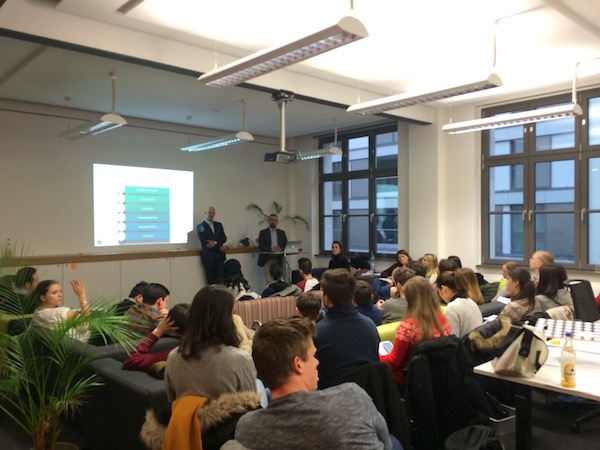 In the Q&A session students asked about the challenges of working with young, smart and mobile people, how to build a team, how to deal with the tension between autonomy and control as well as how to manage investor relations. After the presentation, the students were invited to stay for a personal dialogue with the founder and other employees over beers and club mate.